It is very funny all in one free GIF Photo app. It can add many Animated effects on your photos. 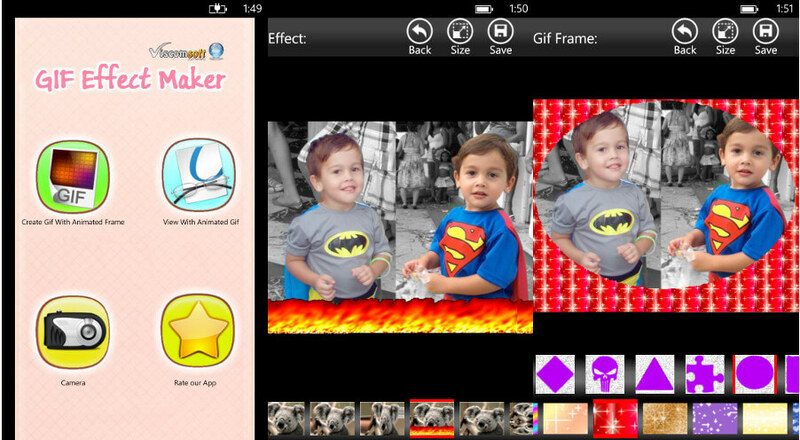 Create your Animated GIF with special effects. Add 37 Animated effects on your photo. Add GIF Frame effect on your photo. Add GIF Text effect on your photo. Zoom in and Zoom out image on GIF frame. Share photo over Tap Send, Bluetooth, NFC, email and more. Support multi-language, Support English, Chinese (Simplified), Chinese (Traditional), German, Spanish, French, Hungarian, Portuguese, Russian language.